Jazz Kids Watch is a Jazz initiative to provide real time monitoring of your kids and their movement to ensure their safety with latest updates about their position. Jazz Kids Watch offers multiple features to help you monitor your kid’s location and whereabouts with instant access and connectivity, anywhere anytime. Get real time location of your kid remotely at anytime with pin to pin position on map. In case of Emergency, SOS is an instant call feature enabling your kid to make a call on pre-defined 3 numbers. You can make a call to Jazz Kids Watch using Android app to talk to your kid and ensure their safety at whatever place they are. Set safety/danger zone and get alerts on your app when kid leaves/enters defined safe/danger zone with in specific time. Call in and listen to your child and their environment unnoticed. Only White listed contacts can call to kid like mom, brother, sister, grandfather, grandmother etc (upto 10 numbers). Get exact pin point location on map from tracking history of your chlid up to 90 days. You can shut down the Jazz Kids Watch remotely at any time from your Jazz Kids Watch App, if you don’t need it anymore. An alert will be generated when watch is removed/taken off from Kid’s wrist. Activate your SIM from any Jazz point as per standard procedure. Sign up by Clicking on “Create new Account” and enter your details. After registration, Username & Password will be shared via SMS. Must have Android 4.0 + or above. Move the watch position preferably outdoor. Must have GPS Signal if not please change the location of watch outside. After the account’s creation, take the watch outside / at rooftop with the SIM for 5-10 Minutes so that it could communicates with GPS-Systems and thus updates the time and location. The user must be wearing the watch for its location update, watch shouldn’t be static. First the watch would show this sign “o” on its screen and then if you keep it on the move, it would show “ʘ”, also set the location interval to 30. After “ʘ” is shown, check the location of the watch through the application and it will be updated. If watch does not show any of these signs, change the location and pace of movement. These few steps have to be performed only for the first time and are inevitable for the accurate positioning and time update feature of the watch. Type the correct Watch ID, Don’t add IMEI number. IF you are login from web portal or App, only login from 1 device will be allowed. Upon confirmation, you will logout from already login devices and get SMS notification from 6676. In case of any issue, please immediately change your password via login in to your account or forgot password. Make sure you are sending request from your registered mobile number. New password will be sent via SMS on the Parent registered mobile number. Forgot password will generate new password instead of sending old password. If you submit new password request then entering of old password will not work. Kids Watch is notdesigned to be used while swimming or to go under the shower. It’s Not Waterproof. How do SOS emergency alert works? When meet emergency, children can press SOS button for 3-5 seconds. The kids watch will call SOS numbers directly. How accurate the map localization is? It is a real-time location, depending on your internet connection you can have some seconds of delay. The location precision is 5-15 meters. The kids Watch is connected with the application, but for calls from the phone, the watch is in busy line. How to solve this? First of all, please confirm whether you have set the number in the SOS Number list or the contact List or not? Because the watch isn’t permitted to generate or receive the calls from the numbers that aren’t added in its phonebook. After it’s confirmed that number is added in the phone book please make sure that watch have the good signals and also the SIM Card in the watch can receive the calls. The Kids watches and phones are free to call each side, but the watch cannot hear the voice from the phone. Please make another call. And during the conversation, push button 1 (top button at the right side of the watch) to add up the volume to the highest. Normally it will work. How can I retrieve my devices ID if I lost it? If you lost the Device ID number, you can retrieve it from the IMEI number, cut off the first 4 and last one digit, and then you will have the device ID. The application cannot update the position and the time of the watch, why? What is the upload interval for the location update of the watch? By default, the upload interval for the location update is set to 600 Seconds while the watch is in the motion. However, this interval is adjustable by the application’s server side. My Location isn’t being updated after I visited a certain area; app is showing previous location what should I do? In that case set the upload interval to the 30 Seconds from the application (Got Watch settings) and then take the watch outside/ Rooftop. After few moments watch would show the “O” and then it’d show “ʘ”. After these symbols have been shown, check the location of the watch it’d be updated. Once the location is updated, the time will also be updated. Can I turn off the watch from mid button? Yes, you can but if the watch has no sim inserted. Otherwise, you can do it from Application. Watch will turn off 1. Battery Low 2. Low/ No signals. Can I use another SIM in the Watch of another operator? No, SIM inside the Watch will be Jazz Watch, however, Parents Number can be of any operator. What should be my SIM card Specifications? SIM Card of the watch is of the Jazz Only. If the baby has taken off the watch out of danger zone, the notification received from the App will be charged or not? Free of charge, no costing to parent/ kid if notifications are seen in App. However, if you activate SMS notification then it will be charged. Can the ownership of these jazz kids watch number can be changed? Yes, it will be treated as default SOP for change of ownership of any voice SIM. It has no impact on the Jazz kids Watch app or any settings. Furthermore, it has to be JAZZ SIM. Can the Jazz kids watch number can be disowned? Yes, in that case you can replace the other SIM with the Jazz kids watch and update Kid watch SIM number from APP/Portal. What will be the way out if customer lost the watch, he has to buy a new watch or old watch can be tracked down or price leverage can be given to customer? The customer can use Buzz feature on the application or use last location update to see where the watch was, in case is still unable to locate they have to buy a new watch. Can International call be placed from watch or any international number can be added as SOS? No, it is restricted with Pakistani number format. Is this watch can be used at IR or any international Sim can be placed for the tracking? No, it is only operative with Pakistani Operator SIM. 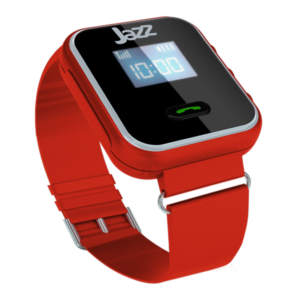 Jazz Kids Watch has a 3 Months Warranty period. Jazz has appointed SWIFTBIZ SOLUTIONS to serve customer warranty claims. Service Center list is below. Items to be dispatched along with faulty Jazz Kids watch . In addition to above mentioned SWIFTBIZ SOLUTIONS service centers, Jazz Points and Jazz Business Centers will also entertain walk in customers with “Jazz Kids Watch” by dispatching the customer’s faulty devices to designated address. Watch can be recharged through Mobile App. 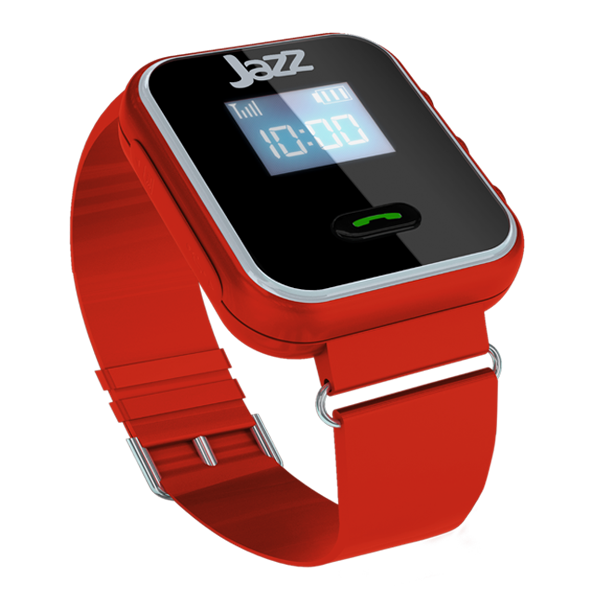 Jazz Kid’s watch comes with a 3 – months Warranty. Application is available for Android Users. Failure of the watch has resulted due to liquid damage, accident, burn and abuse. The watch has been serviced / repaired by anyone other than GadgeIT’s Authorized Service centers. IMEI is scratched or not found in software, Customer must preserve the original package of the Watch.